Samuel Adams Beer Pairing Dinner – October 12th, 2018 – 7 p.m. Guest Speaker: As a Certified Beer Server and avid beer enthusiast, Vicky Kovach is Kansas Market Manager for Sam Adams and is passionate about the craft. We look forward to her insights about the craft. Executive Sous Chef Jennifer Reifschneider is a graduate of The Art Institute of Colorado. It is her love and passion for food and the industry that continues to inspire her to push the boundaries and deliver quality culinary creations. She has created a perfectly paired menu to compliment the craft beers of Samuel Adams, which is not to be missed! Guest Speaker: Clint Newlan, Lagunitas Market Manager for Kansas, Nebraska and Western Missouri. Certified Cicerone and Certified Specialist in Spirits, Clint began his love affair with beer with a decade of all-grain home brewing and has worked in the industry for 8 years. We are thrilled to have Executive Chef Ramond Alexander create the perfect menu paired with the outstanding craft beers from Laquanitas. With more than 25 years in the industry, Raymond has been an industry leader with Sun International, Protea Hotels, and one of the personal chefs to the President in his native land of South Africa, where he held positions including Assistant General Manager of Operations, Director of Food and Beverage, and Executive Chef. Crane Brewing Beer Pairing Dinner – October 12th 2018 – 7 p.m. Guest Speaker: Dan Simmons, Sales and Brand Management for Crane Brewing. The wild and vibrant beers of Crane Brewing are inspired by the bold craft beers of home and the rustic ales of Europe. 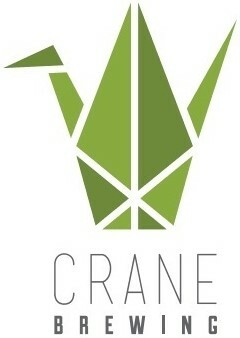 We look forward to Dan sharing the grand tradition of Crane Brewing that never stays the same and is always evolving! Executive Chef Jeremy Wade is one of Wichita’s most respected chefs and is now heading the kitchen at YaYa’s Eurobistro. His resume included The Candle Club, Lakeside Club, Uptown Bistro and Cibola. Jeremy is lending his talents for our Larkspur Beer Pairing Dinner and everyone is sure to be impressed.